Something evil is loose in small British village of Dalmering. A woman is stabbed in a wood right before her wedding. What could be the possible motive for killing someone liked by the entire village? Could the murderer be her last dinner companion with whom she didn’t share romantic feelings? A mysterious stranger seen lurking about the village? Why didn’t her roommate of many years call the police when she failed to return after her dinner? The village is putting on an amateur production of a play called Murder has a Motive. Could the murderer be only acting like a concerned friend or neighbor? Murder has a Motive was written in 1947. It is the first Mordecai Tremaine detective series but second to be republished, after Murder for Christmas (review here). Between the two books, this is clearly the lesser story. Murder for Christmas had a twisty pseudo-Christie plot that this book did not. The ending was not surprising and the clues were too obvious to be missed by most readers. 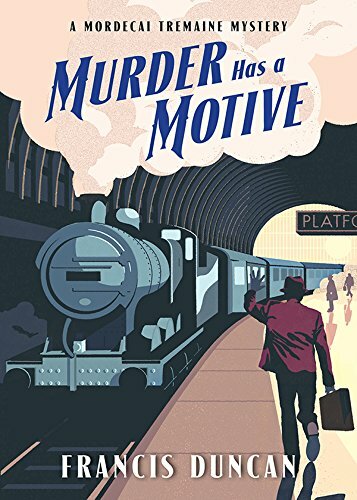 Murder has a Motive is a good, not great, lesser golden age mystery. 3 stars. Thanks to the publisher, Sourcebooks Landmark, and NetGalley for an advanced review copy.